For the past three years I have been invited by the Editor-At-Large of BizCommunity in South Africa, Simone Puterman, to provide a list of the trends we have identified in strategic marketing management on a global basis. If 2012 was the year of confusion and uncertainty, then the coming year is a time of choices and decisions for marketers in regards to the way they manage their strategic marketing. Last year was certainly an economic roller-coaster ride. 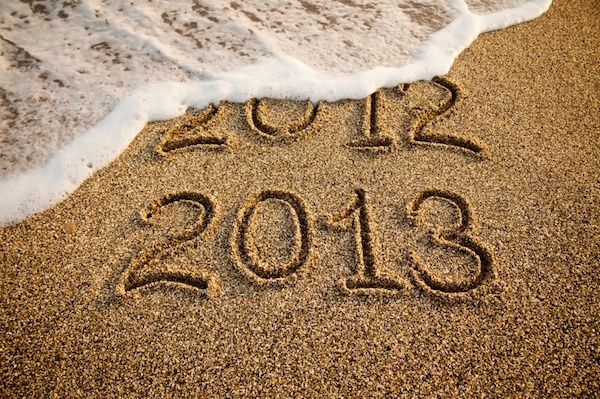 In 2013 marketers will need to look through the uncertainty and make some longer-term plans and make choices and decisions on how they will steer their brands forward. 2012 saw a number of major global clients move from a roster of agencies to a single supplier, purpose built as a single client agency within a holding company. This is a reaction to the increasing diversity of specialist suppliers. Some major advertisers are choosing convenience over quality as a way of managing complexity. But others are embracing complexity and selecting the best of category. The choice is up to the marketer and how effectively they can manage their marketing requirements. 2. Media Price or Media Value? In tough economic times, media prices have come under pressure making price benchmarking increasingly variable. No longer do the biggest spenders get the best prices. Now the smartest, fastest and most flexible are able to match or better the deals usually available to the big media spenders. Which raises the question, should you be buying media on the price it costs or the value it creates? Just buying the cheapest media is not necessarily the best value. 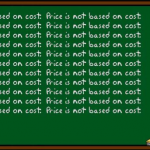 So should you be buying your media on price or value? The choice is yours. The traditional advertising approach is to broadcast the message to the audience through media channels. But with increasing consumer engagement in social media, content creation and content sharing, marketers are increasingly embracing content brand strategy with mixed results. Only when the marketer decides to move beyond a trial to a fully implemented content strategy do they see the results build. Glocal or global brand strategy executed at a local level has been around for many years in various mixes of global and local flexibility. But with a content-based brand strategy local becomes global as local content has the ability to extend beyond local borders to the wider global market. The barrier of ‘not invented here’ becomes less of a barrier as great content has the ability to transcend borders and engage various cultures. The choice is no longer how much or how little control but what works and what does not. ‘Storytelling’, with the emphasis on the ‘telling’ has been the content of the broadcast advertising strategy. People sharing their stories drive social media. Therefore creative agencies are focusing on becoming the storytellers for the brand. But in the digital world, the opportunity is to go beyond storytelling and awareness to creating branded experiences that engage the audience. When marketers choose this approach, positive and rewarding experiences become the basis for the audience to tell their own stories about that experience and build brand engagement and the brand. Technology has not only created more communication channels and more opportunities for interactivity, it has also created the opportunities to be able to manage these interactions in house. 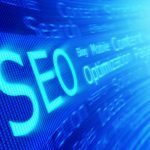 Search Engine Optimisation and Marketing, Social Media, Content Production, Data and Analytics are all increasingly functions that can be implemented successfully in-house, where they can be easily accessed across the organisation. The decision is what do you outsource and what is best in-house? That depends on your needs, volume, investment levels and existing capabilities. For the past two years people have been discussing the convergence of marketing and information technology and the impact this will have on the CIO and the CMO. In 2013 the decision will need to be made as to the way these areas align and work together. While some have alluded to the CMO becoming the dominant IT decision maker the fact is that the CIO remit extends beyond communications and marketing alone into operations. That is why the decision is not either / or, but how. While everyone is talking about data, the real value is in extracting and leveraging the insights to influence customer behaviour, increase engagement and drive sales and advocacy. While technology allows marketers to collect and manage huge amounts of customer and market data, the real challenge is in finding, training and developing the key personnel who can extract meaningful insights from the data. Technology is also providing opportunities to automate many of the marketing and advertising processes. Demand Side Platforms, Trading Desks, Media Trading and Buying are all based on the efficiencies of an automated process to deliver a desired outcome. But it goes beyond media channels to the creation and distribution of the content itself. Automated workflow processes and production templates mean that content can be developed, created and distributed in real time. The decision here is where automation can be implemented to achieve maximum value. The link between consumer attitude and behaviour is increasingly questioned, with studies showing that awareness and positive attitudes do not readily convert to changes in consumer behaviour. Yet marketers have traditionally relied on attitudinal market research to track the effectiveness of their marketing communications strategies. Technology now allows marketers to be able to track and study consumer behaviour with an emphasis on positively changing behaviour as a way to build improved attitude and engagement with brands. “It is only when you exercise your right to choose that you can also exercise your right to change.” – Dr. Shad Helmstetter. So this year is the year to make the changes you need by making the choices you need to make today. This was first published on BizCommunity, South Africa.